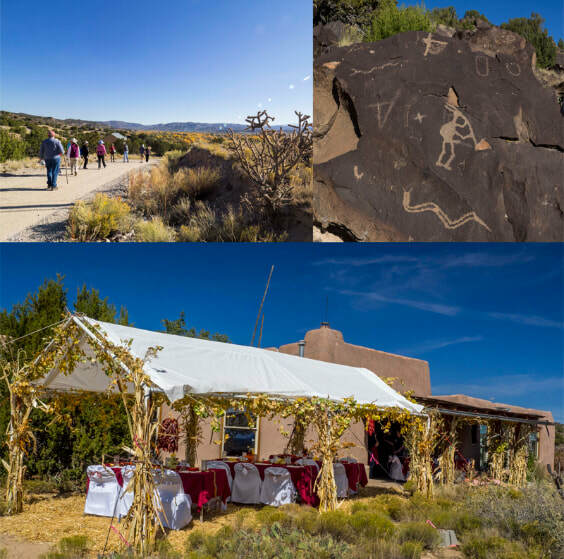 Enjoy a catered gourmet lunch by Red Mesa Cuisine, live flute player music by Patrick Mirabal from Taos Pueblo and a special petroglyph tour of 25 flute player petroglyphs, high above the Rio Grande and autumn cottonwoods. Take advantage of this unique opportunity to visit North America's largest known group of flute playing animal petroglyphs on the Wells Petroglyph Preserve north of Ohkay Owingeh. There will be a silent auction with fine art items. Confirmation and directions will be emailed in response to your ticket purchase.